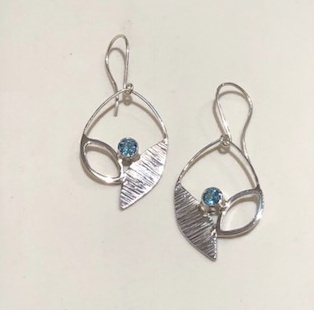 A Blue Topaz set on a Hammered and polished Sterling Silver leaf design hook earring. 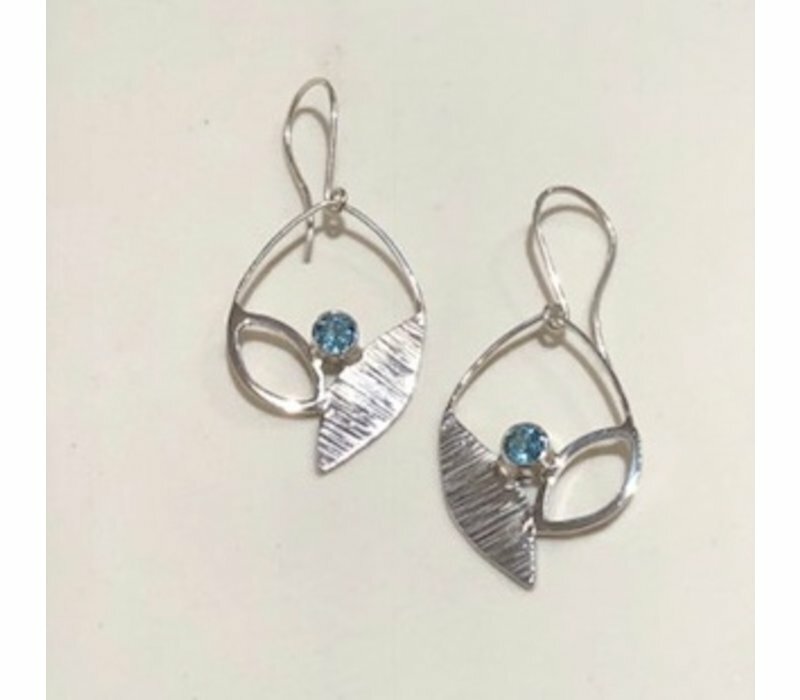 Lightweight and comfortable to wear, these earrings have just the right amount of sparkle to them! The combination of textures allows them to catch the light when they swing! 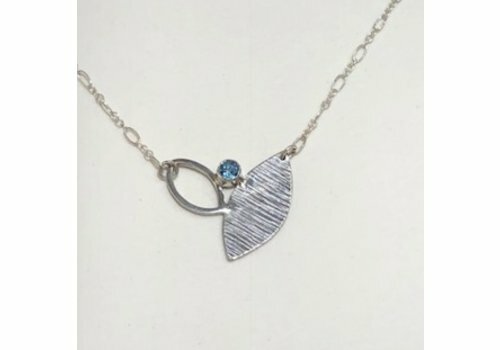 Perfect for day or night for that effortless stylish look. 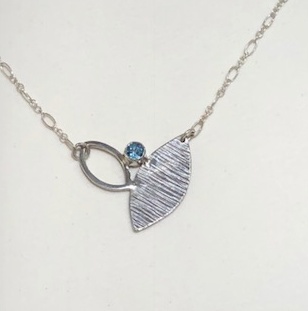 Hand crafted in sterling silver and Swiss Topaz. Earrings measure 2" from top of ear wire to bottom of earring, and 1.25" wide at it's widest part.